Taking time to pause for a few minutes each day can help us maintain balance in our lives, especially during the Advent and Christmas seasons. 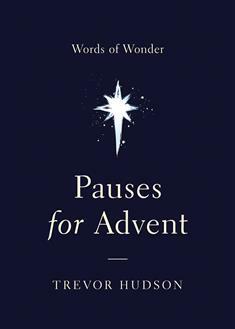 In this simple yet not simplistic book, Trevor Hudson focuses on one biblical word of wonder for each day of Advent. His insightful reflections on the word for each day invite individuals and groups to a deeper understanding of Advent. Hudson also briefly explores the lives and thoughts of 4 significant characters in the Christmas story, encouraging us to immerse ourselves in the dramatic story. He offers a simple daily practice that helps us become involved in the Advent drama. Hudson's minimalist approach and conversational writing lead us to discover how we can open our hearts and lives more generously to God.